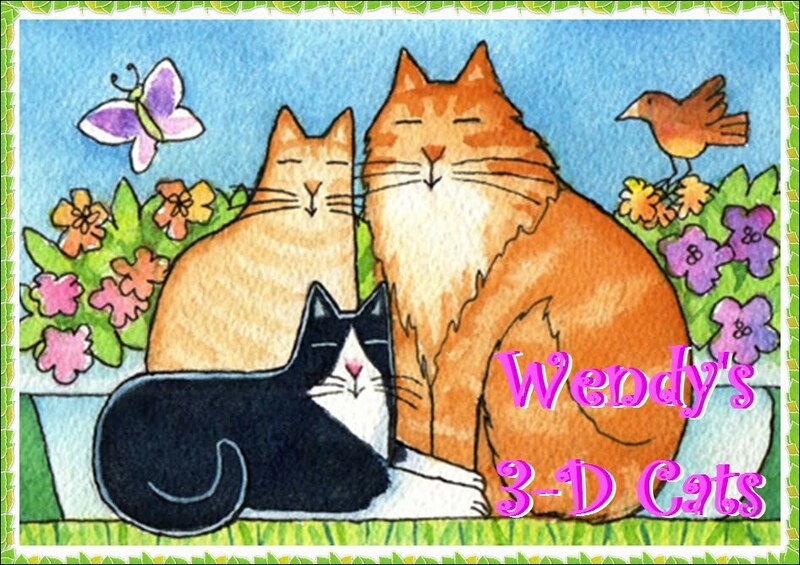 Wendy's 3-D Cats: 3-D CATS: ON HATS AND QUIRKS! 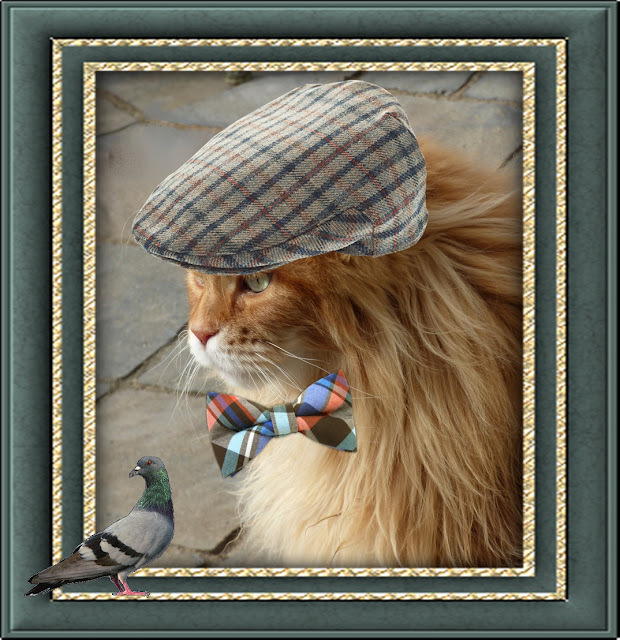 3-D CATS: ON HATS AND QUIRKS! Each of the 3-D Cats has a special quirk (in addition to wearing hats, that is). Here Dante is sporting a tweed plaid flatcap in tones of teal and orange. These same tones are picked up in his bright plaid bowtie. At the moment, though, he's not so interested in fashion as he is in the prospect of coaxing this bird to come for supPURR. Even if he succeeds, the dinner conversation may be rather problematic. 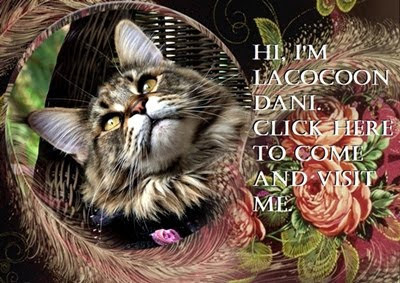 You see Dante tends to get into squabbles with pigeons -- mostly over whether they're called pigeons or squabs. In the end, though, it's all semantics as they are, actually, one and the same. "I may be a pigeon but I ain't fallin' for anyfing dis character has ta say!" states the canny bird. 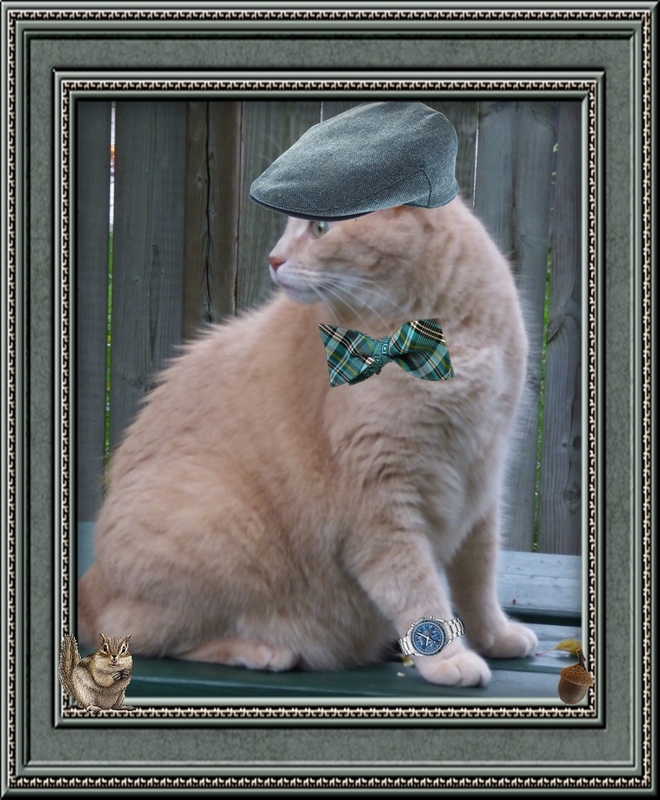 Dylan, too, is wearing a tweed flatcap in herringbone teal with a coordinating teal, black and white bowtie. He's on the lookout for a pesky chipmunk who has been after his nuts. Dylan has been hoarding acorns while labouring under the delusion that they are actually small containers filled with corn. But then Dylan's always been kind of a corny guy and this just proves it! I don't know about you, but I'm definitely on Chippie's side! 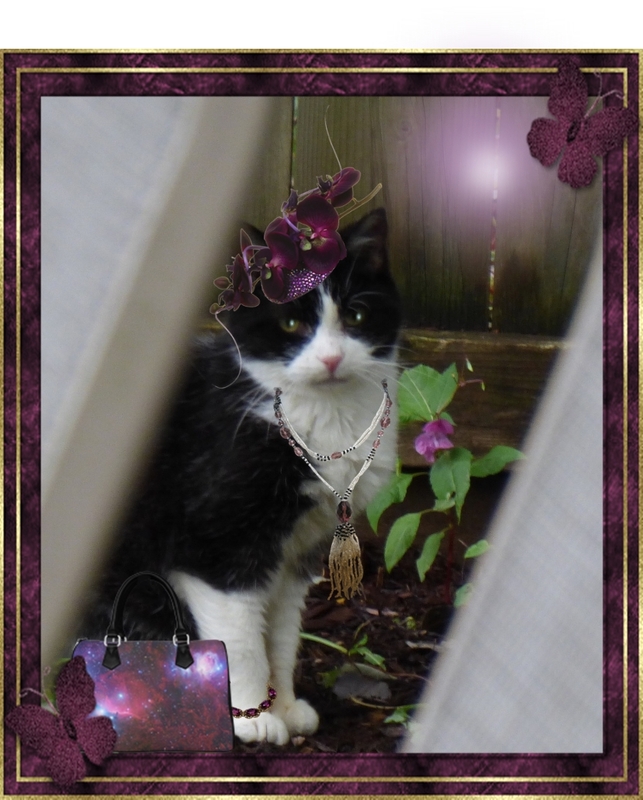 Domino is fascinating in her fuschia fascinator and flapper necklace with purple gems. She's also wearing a deep purple bracelet and carrying a handbag with that same amethyst glow. Domino is standing beside one of the last remaining flowers in the back garden. She is comiserating with it about the impending cold weather. This is her last hurrah before her favourite flower fades into oblivion. At least Domino is helping her flowered friend to go out in a blaze of PURRple glory! DYLAN: YOU'RE NO FROND OF MINE! 3-D WORDLESS WEDNESDAY: WATCH YOUR BACK, DOMINO! 3-D CATS IN HATS HAVE FALLEN FOR FALL! WORDLESS WEDNESDAY WITH DOMINO: THE SPITFIRE! 3-D CATS IN HATS ON THANSKGIVING! DOMINO & DANTE: PUT UP OR SHUT UP!